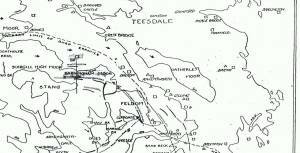 Location Feldom Army Range Area F2. Gayles Moor. Geology Glacial drift over strata below the Middle Limestone. 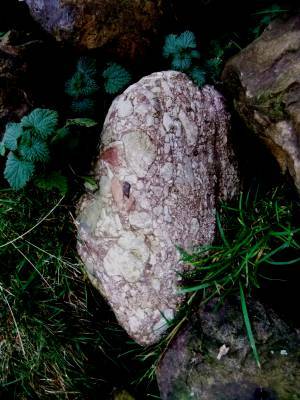 Record Description Two small glacial erratic boulders, one of Shap Granite the other of the remarkable Vale of Eden angular breccia rock known as the Brockram. These two erratics were recognised at elevation of 270m, in an erosion patch at a gateway. These two boulders are slightly below the altitudinal limit at 1000ft AOD (324m AOD) for the southern edge of the Stainmore Ice stream transporting Shap erratics from the source of this distinctive granite at Shap on the Western Fringe of the Lake District. Reference: (Raistrick, 1929). 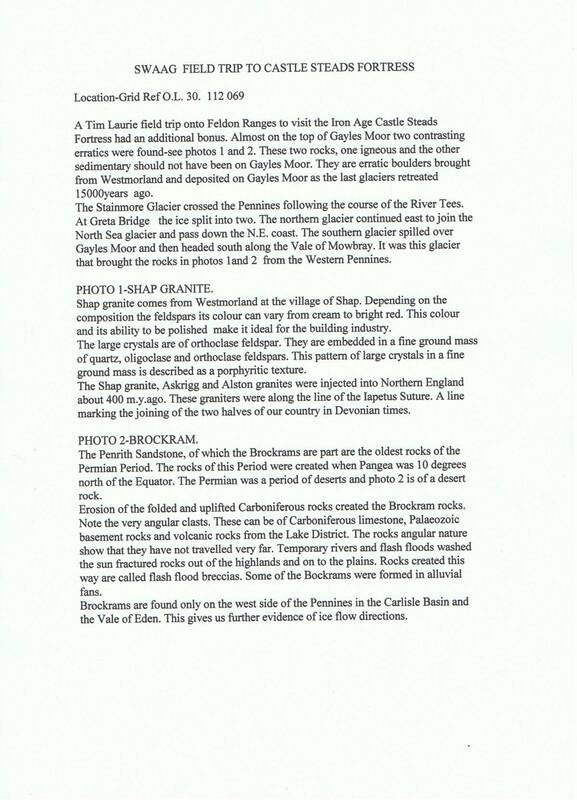 For further details and the Geological context of these very interesting and distinctive rocks, see the Descriptive Report from John Russell and the photo images below. Reference: Raistrick, A. 1929. 'The glaciation of Wensleydale, Swaledale and adjoining parts of the North Pennines'.Proceedings Yorkshire Geological Society, Vol 20 and Plate 20. Additional Notes Whereas Arthur Raistrick's Map defines the the southern edge of the ice stream carrying Shap Granite erratics across Stainmore as at 324m AOD on Feldom, further west this limit is at just 200m reflecting the absence of finds of these boulders from Barningham Moor and south of Dalton.A number of Shap Granites have subsequently been recognised on Barningham Low Moor and, notably, a solitary Shap Granite has been recorded below peat on the very edge of Barningham High Moor, at 430m elevation. 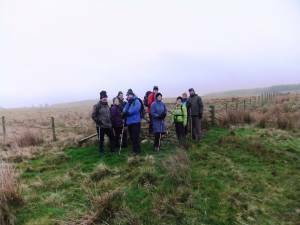 See SWAAG Database Recird No 770, Image Nos 23 and 24 for photos of the Shap Granite boulder at Eel Hill on Barningham High Moor. This fact moves the recorded limit of the southern edge of the Stainmore Ice some three miles further south and its minimum elevation more than 200m higher. Further details of the archaeological sites visited by SWAAG Members during their visit to Gayles Moor on a misty December will be uploaded as the next SWAAG record. Image 1 Description John Russell's descriptive summary of the geological contexts of Shap Granite and of the Brockram Breccia. 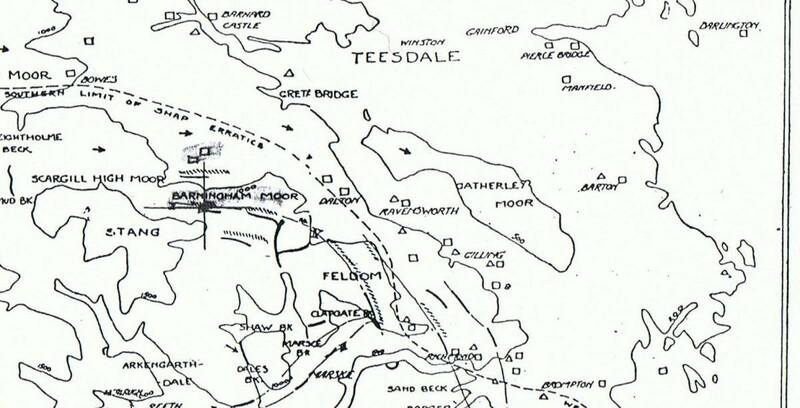 Image 2 Description The recorded limit of Shap Erratics on the southern edge of Teesdale at Feldom, at 1000ft (324m AOD).Extract from Raistrick 1929: Proceedings Yorkshire Geological Society, Vol 20 Plate 20. 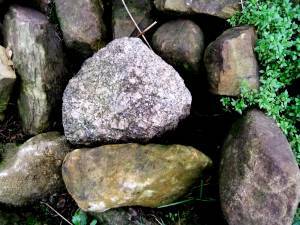 Image 3 Description The Shap Granite boulder. 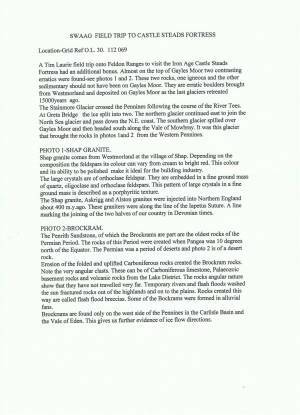 Image 4 Description The Brockram boulder.